Melvin Muender, 82, passed away Nov. 5, 2018, of natural causes, at home. Mel was born April 22, 1936, in New Salem, North Dakota, to Rudolph and Elsie Muender. At age 6, his family moved to Whitefish. Melvin served in the Army from 1958-1959, then joined the Army Reserve and served 36 years there. He was a member of the Army Reserve shooting team. He retired from BNSF in 1998 after 42 years. 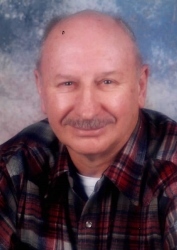 Mel was a member of the Elks, Moose and Eagles clubs, and a lifetime member of the National Rifle Association, Rocky Mountain Elk Foundation and American Legion. He was preceded in death by his first wife Marge, and is survived by his second wife Betty Lou, his sister Phyllis Galloway, niece Karen and Coleman McClintic, and nephew Paul Galloway. A gathering in celebration of his life will be announced at a later date.